Some sad news today for fans of sports cars powered by spinning triangles: Mazda's new CEO says it will come back when they can sell 100,000 of them a year and make a profit. In other words, forget it. Sales would have to total 100,000 a year for Mazda to resurrect the technology, he said. 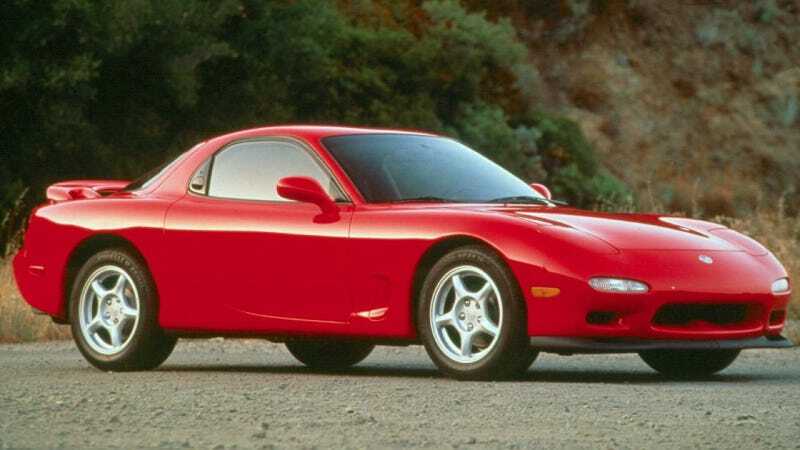 So Mazda isn't planning a rotary revival, he said. "No plans now," Kogai said in an interview Friday. "It has to be a viable commercial proposition. If we are going to adopt it, it has to be a product that can generate at least sales of 100,000 units a year. We have to be able to achieve a profit." It's kind of depressing to hear, especially since we just celebrated the 50th birthday of the Mazda rotary engine. At the same time, it's not terribly surprising. While the rotary has fantastic performance advantages, it also tends to be awful in terms of fuel economy and emissions, two of the biggest concerns for automakers these days. Plus, as that story notes, Mazda's not really in any position to be taking risks at the moment. They just made their first profit in five years, and while they have an incredible lineup of ridiculously fun, well-made cars, they still face many challenges as a small and independent carmaker. In spite of all this, Kogai didn't explicitly say that the rotary is dead. He just said it's not viable at the moment, and implored people to "please allow us to continue our research" into how to make the Wankel work. We still have the new Miata to look forward to. Let's at least be thankful for that.